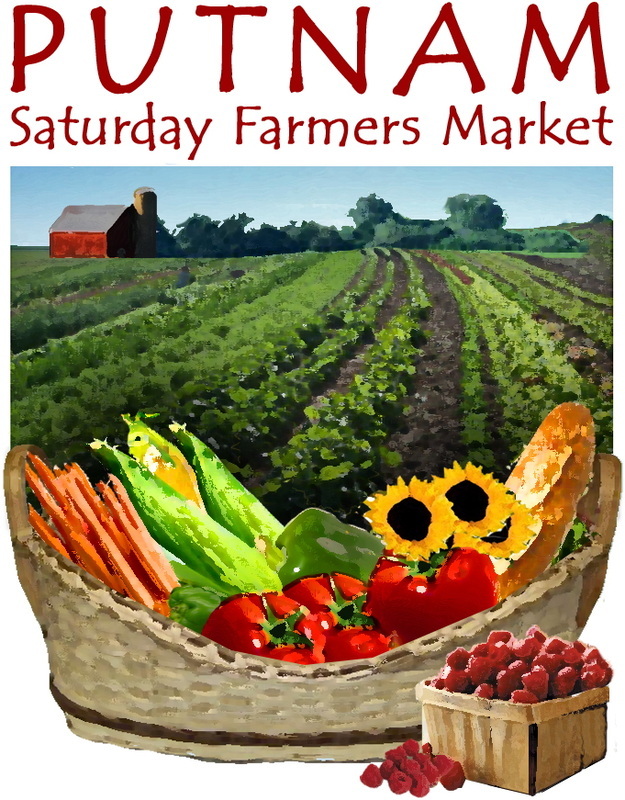 The Putnam Saturday Farmers' Market is brought to you by the Town of Putnam. The Market is held in the Riverview Marketplace Pavilion at 18 Kennedy Drive, Putnam, CT. The Market is open every Saturday (in 2018) from June 2nd through October 27th, from 10am to 1pm. This is the eighth year of our Market and we are very grateful to the farmers, vendors, guests and artisans who make up our Market and to the hundreds of customers who've come to enjoy our Market. Click this button to get our mailing address or to send an email to the Putnam Saturday Farmers' Market with a comment or question. Also, if you want to find out how to be a part of our Market, click this brown button. You can get maps and directions on how to find the Riverview Marketplace Pavilion in Putnam by clicking this green button. Click this brown button to get our application forms for vending or presenting at the Putnam Saturday Farmers' Market. We offer a number of ways to allow you to purchase items at our Market, including SNAP/EBT benefits and debit cards. Click this green button to learn more.